Anderson Giles, retired University of Maine at Presque Isle professor, has traveled to the South Pacific many times to conduct research and document many different aspects of World War II in the Pacific, but on his most recent trip, he was able to take part in a historical event, the likes of which may never happen again. Giles traveled to the islands of Saipan and Tinian in the Commonwealth of the Northern Mariana Islands [CNMI] this summer for the 70th Anniversary event marking the Battles of Saipan and Tinian. Organizers held large-scale events to celebrate the liberation of the islands, but noted the 70th commemoration may be the last one that actual veterans of the battle would be able attend due to advanced age. Tinian played an important role in the ending of the war—it was the base from which the Hiroshima and Nagasaki missions originated in August l945. The use of the atomic bombs has been voted “the top news story of the 20th Century.” The atom bombs were assembled on the island and delivered by the B-29’s ENOLA GAY and BOCKSCAR. At the time of the missions, North Field on Tinian was the world’s largest and busiest airfield. 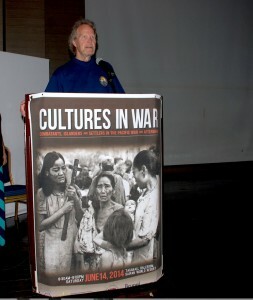 During the 70th commemoration activities, Giles participated in a special one-day conference, titled Cultures in War: Combatants, Islanders and Settlers in the Pacific War and Afterward. 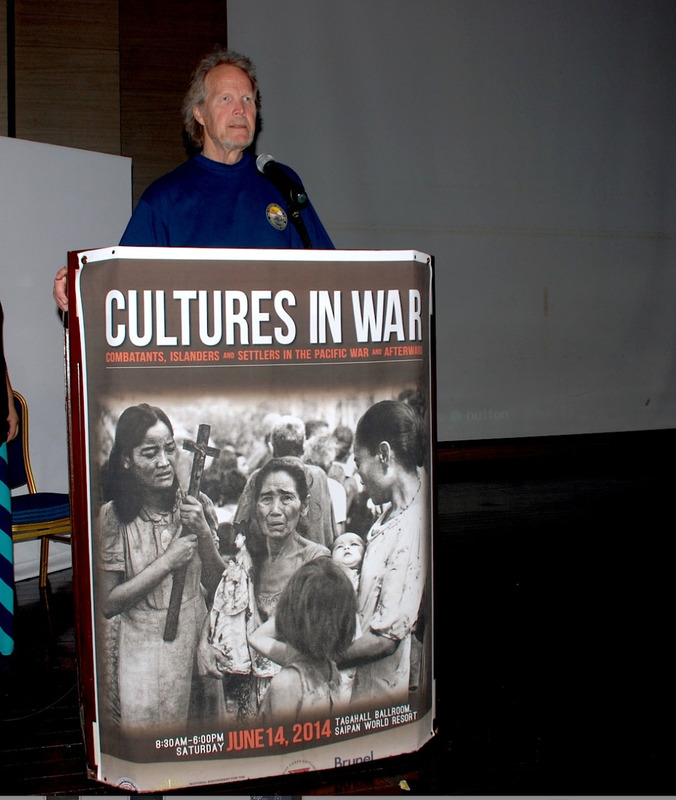 The conference featured more than a dozen speakers from around the world who spoke about the cultural, military, and social aspects of the Pacific War with particular emphasis on the Mariana Islands. The presentations will be compiled into a publication by the CNMI Humanities Council. In his presentation, There Will Never Be Anything Like This Again, Giles made the case for “the emergence of a modern mythological tale reminiscent of some of the great legends of antiquity, which tell of incredible scientific, architectural, and military achievements by a group of extraordinary individuals who, after accomplishing great feats, abandoned the sites and vanished.” For Giles and for Tinian, those feats would include the construction of the world’s largest airfield complex, in conjunction with the top secret construction of facilities in which the atomic bombs were assembled. His talk studied all phases of the astonishing construction feat, the great B-29 air campaign, and the construction and use of the atomic bomb facilities and their deployment. He noted that by 1947 the huge complex had been practically abandoned. Giles has conducted decades of research in the Pacific Islands involved in World War II. He has used his talents as an accomplished artist, photographer, documentary filmmaker and University teacher to document historical sites and interview hundreds of WWII veterans about their experiences in order to preserve their memories for future generations. He wrote, directed and produced the epic award-winning, two-hour documentary film The Thunder from Tinian, as well as Echoes from the Apocalypse. He has given numerous presentations on his work across the United States and abroad and has led countless tours for WWII veterans returning to the Marianas. His connection to Saipan and Tinian and their role during WWII are quite strong—his father was a decorated 4th Division Marine (Saipan/Tinian) and his uncle was a 67th Seabee who helped construct North Field and the Atom Bomb Assembly Facilities on Tinian. Giles’ father was killed in action in Korea when he was 4 years old.